Cucumber Mango Onion Salad combines an interesting blend of ingredients mango, cucumber and a little onion. This salad will serve as a good side dish for barbecues, parties, dinner. It’s colourful, vibrant, unique and bursting with fresh flavour. 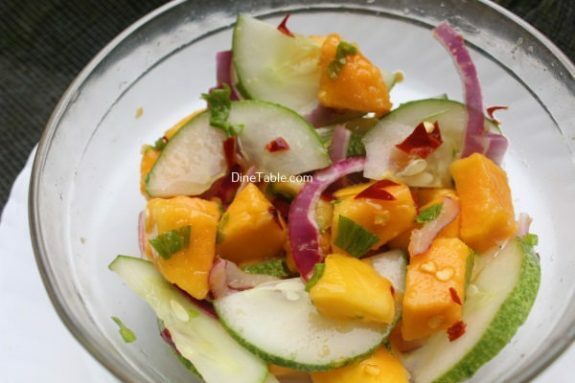 Cucumbers and Mangoes go so well together, and their colours look so good together. The colours are bright, beautiful, and will make you love the salad even more. Mangoes are also great for your hair because they contain vitamin A, a nutrient required for sebum production that keeps hair moisturized. 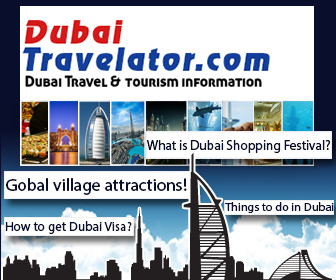 Vitamin A is also necessary for the growth of all bodily tissues, including skin and hair. One cup of sliced mangoes supplies 25 percent of the needed daily value of vitamin A, which promotes good eyesight and prevents night blindness and dry eyes. 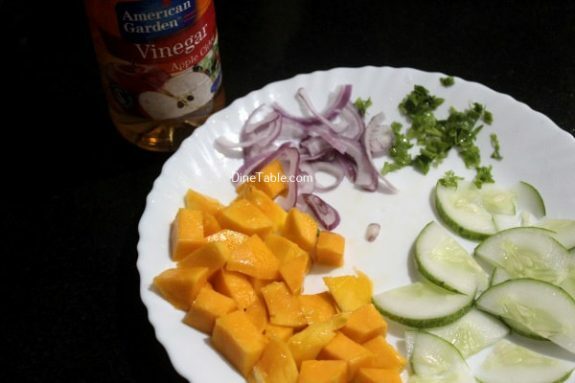 Try this delicious salad at home. 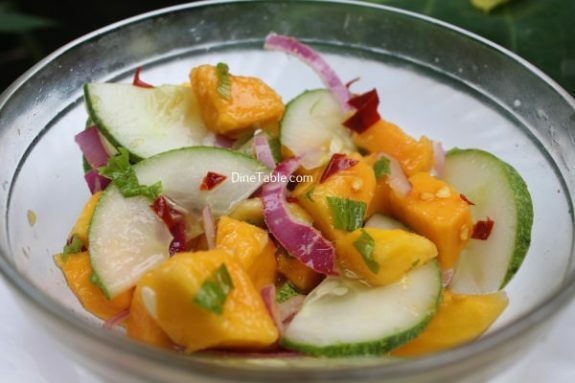 Wash and chop mango, cucumber, onion and coriander leaves into small pieces. Take a small bowl, toss onion in the apple cider vinegar until completely coated. Let the onions rest in the vinegar for at least 10 minutes. 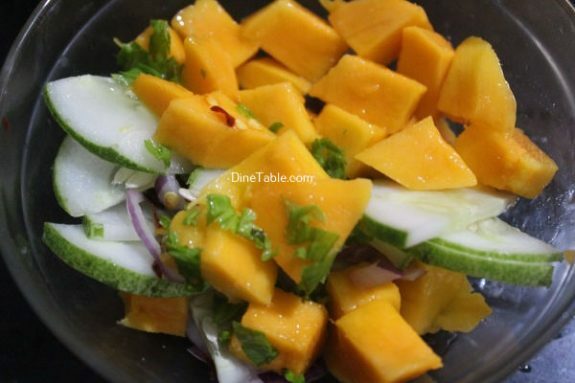 In a large bowl, add chopped mango, cucumber and coriander leaves. 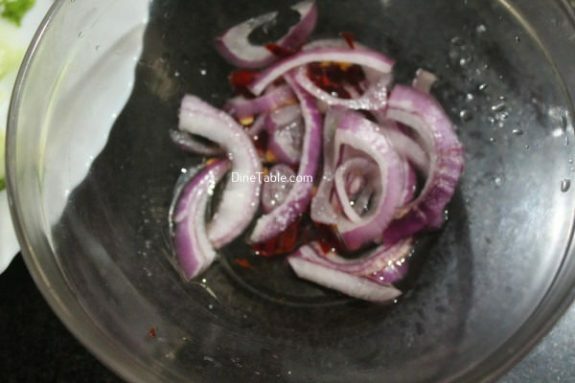 Add onion, vinegar into it and mix well with a spoon . Sprinkle Cayenne pepper, salt and honey over the salad and toss until completely mixed. Refrigerate this for 10 minutes. 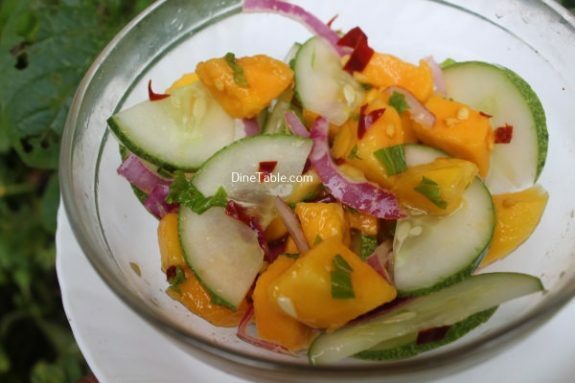 Tasty Cucumber Mango Onion Salad is ready.